How your home looks from the street can say more than you think! From fencing and front doors to landscaping and lighting, keep reading to learn about some common curb appeal mistakes that you’re better off avoiding. If your front yard is enclosed by a fence , then this feature is one of the first things that people will notice when looking at your home. For this reason, even minor damage or one leaning fence post can be an eyesore. Take a critical look at your front yard’s fencing, and if it’s showing signs of wear, then consider hiring a fence repair service to breathe new life into the structure. Because you see it every day, you may not notice signs of age on your door. However, for neighbors, guests, or potential buyers, faded paint, dingy hardware, or a dated design aren’t likely to be overlooked. Stop and examine your front door with fresh eyes, and if this focal point for your home isn’t carrying its weight, then consider painting it a different color, swapping out its hardware, or replacing it altogether. Whether or not you have a green thumb, you should know that dead or diseased plants, trees, and lawns do nothing to increase your home’s curb appeal. If your landscaping looks less than healthy and lush, then replace dead plantings with new ones or hire a landscaping company to do so for you. Adding some landscape lighting to your home can help boost its safety and security, as well as do wonders for improving your home’s curb appeal at night. If, when looking at your home from the street at night, one might think that no one lives there, then consider illuminating your outdoor areas with more landscape lighting. 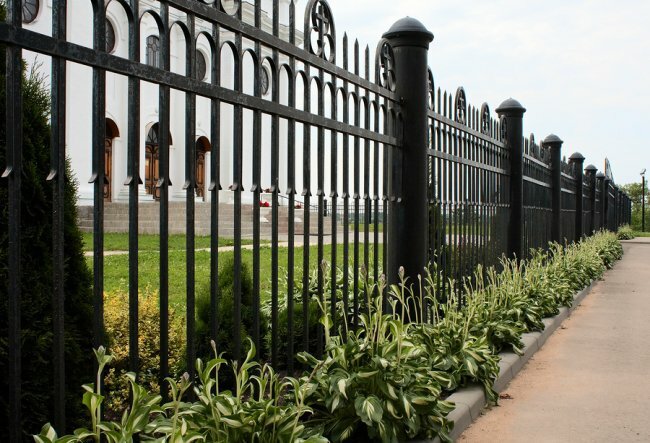 A-1 Fence Inc. offers professional services for fencing installation, maintenance, and repair. If your fence in San Jose is doing nothing for your home’s curb appeal, then give us a call at (408) 259-2955 to speak with one of our fence repair experts .